After ogling over the photos of Pip's Original Doughnuts for long enough, my family and I set off on a little excursion to the shop in Northeast Portland's Fremont neighborhood this morning in honor of my upcoming birthday. As it turns out, today was Pip's birthday too! I'll raise a sea salt doughnut to that. Just two years old, the hip, family-owned café is already becoming well-known on Portland's Eastside for serving up freshly made, fried-to-order mini doughnuts topped with mouthwatering ingredients such as pink Himalayan salt, Meyer lemon, pear butter, raw honey, candied bacon and Nutella. Spoiler: the doughnuts are as delicious as they look in the pictures. Our doughnut supply rapidly vanished throughout the series of these photos. I ordered a combination of the classics: raw honey and sea salt, cinnamon sugar, and Nutella with sea salt. 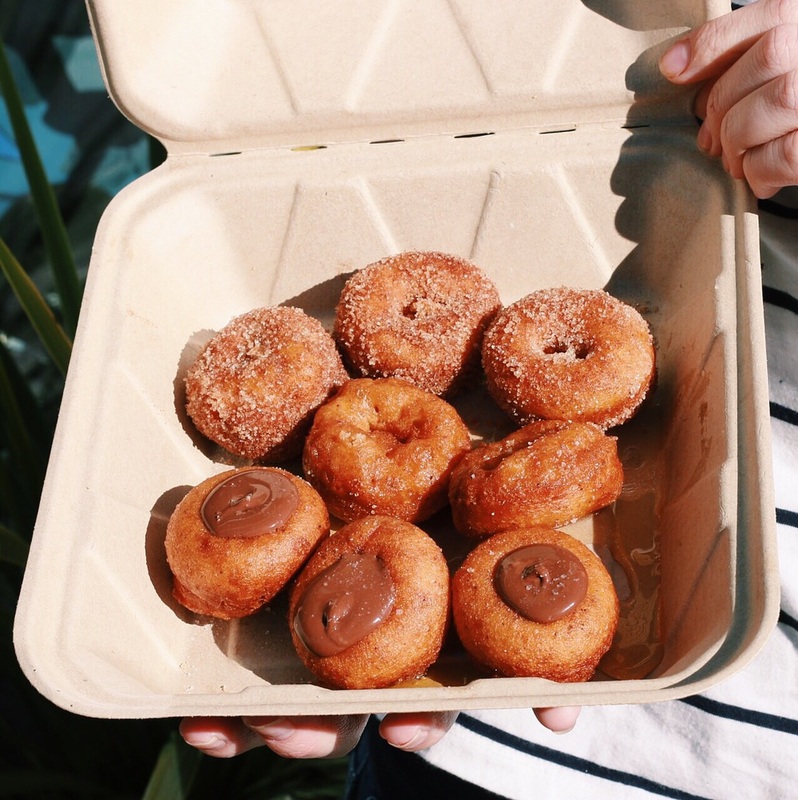 The tiny doughnuts came to us piping hot and they smelled so good that we could hardly wait for them to cool before eating. If I could post a scratch-and-sniff to go along with these pictures, I would. 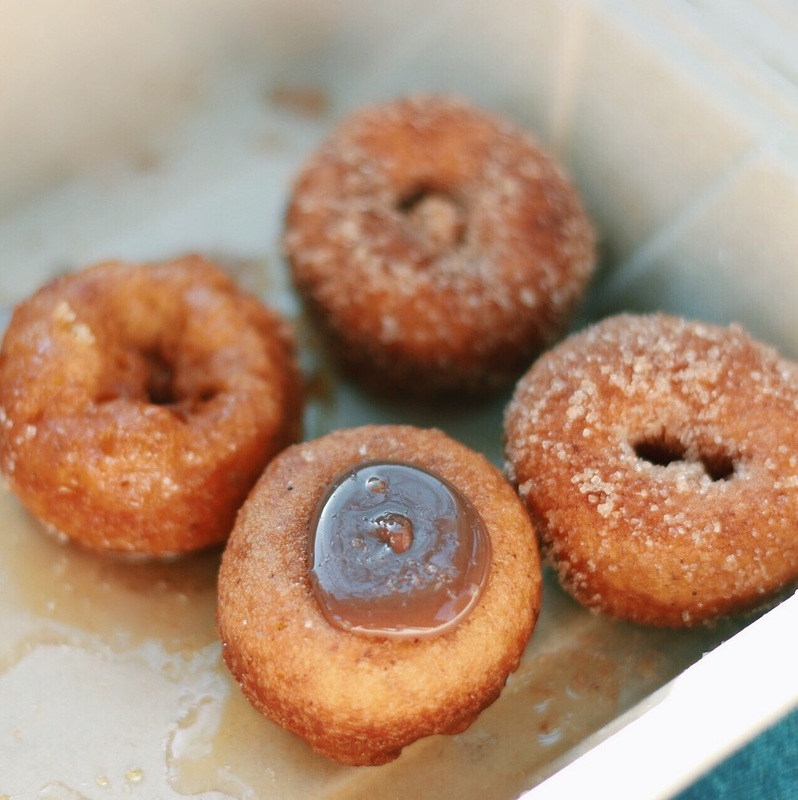 This little box of fried-to-order donuts smelled like cinnamon sugar, raw honey and heaven. I also tried the raw honey latte made with locally roasted Extracto Coffee Roasters espresso. As you can imagine, it was delicious, not too sweet with just a hint of honey, and perfectly smooth. Besides, what else goes better with freshly made doughnuts than good coffee? 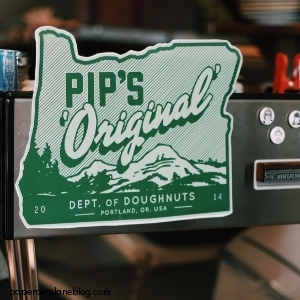 Normally, I would say nothing goes better with doughnuts than coffee but Pip's Original Doughnuts also happens to serve five different varieties of house-crafted chai tea lattes. The service is friendly and fast, the space is charmingly filled with funky Portlandia elements, and the mini doughnuts are mouthwatering. It's easily worth your trip for the the raw honey and sea salt doughnut alone. Those tiny, fried morsels are perfectly crispy, sweet yet salty, and prize-winning... Need I say more?